UEFA's anti-discrimination partners are compiling a report into the racism suffered by England players in a European Championship qualifier at Montenegro. British Prime Minister Theresa May on Tuesday urged football authorities to take strong action against Montenegro after England players faced a torrent of racial abuse during a European Championship qualifying match. UEFA charged the Montenegro Football Association over its fans’ racist behavior in Podgorica on Monday night after England players Callum Hudson-Odoi and Danny Rose complained about being targeted with monkey chants during the team’s 5-1 victory. UEFA’s anti-discrimination group had sent a monitor to the game because there was judged to be a “high risk” of racism and their evidence will now feed into a disciplinary case that will be heard on May 16 by European football’s governing body. In a sign of the extent of the racism problem in European football, UEFA announced a separate investigation on Tuesday into abuse aimed at Hudson-Odoi while playing for Chelsea. UEFA said it appointed an inspector to assess a complaint by Chelsea that the 18-year-old winger was targeted with racist insults by Dynamo Kiev fans during the London club’s 5-0 win in Ukraine in the Europa League. 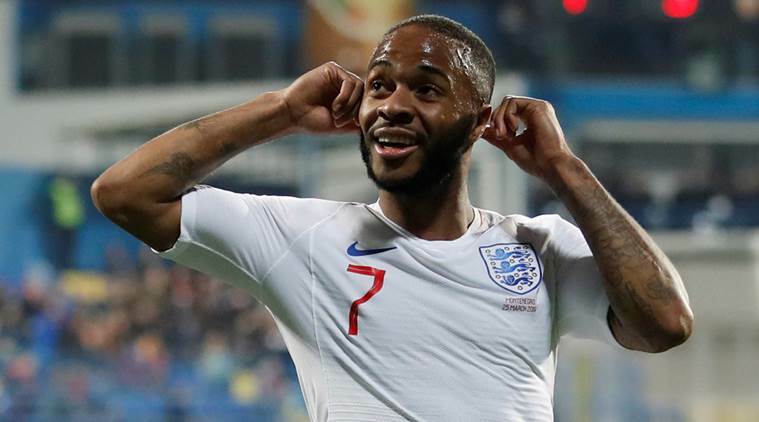 In one unsavory incident, England winger Raheem Sterling cupped his ears after scoring England’s fifth goal and Montenegro fans responded with jeers before an object _ reportedly a lighter _ was thrown onto the field. It was picked up by Hudson-Odoi. The Football Association of Montenegro said it was only “alleged” there was “racist behavior of few spectators” but committed to identifying anyone deemed responsible and banning them from all matches in the country.